Happy New Year! Throughout the past few weeks, there has been quite a bit of transition in my life. I went from the non-active Ashley to one who works out, tries new things like zumba, has improved eating habits and I even have a new job. 2014 brought a lot of maturity to my life and a lot of the things that I went through, made me more comfortable and confident in who I am as a woman. With all the transition in my life, I thought it would be the perfect time do something I'd been wanting to do for awhile. 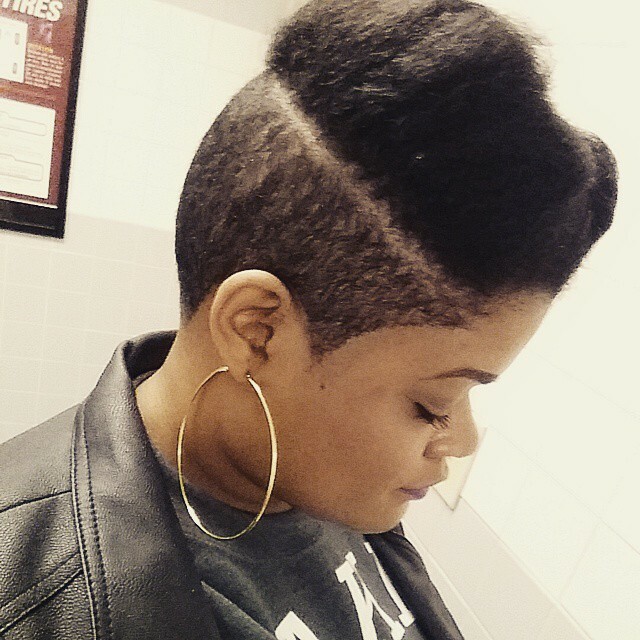 I've wanted to shave my sides ever since I saw Jouelzy's fabulous hair cut on Instagram. I thought it was edgy and cool, but when I went in for the cut a few months ago, I couldn't do it. I chickened out at the last minute, but fast forward to December. As my last day of my previous job was approaching, I just knew I was ready. I scheduled an appointment with Tiffany Denae. When I went in, she immediately hooked it up and couldn't believe how calm I was the whole time. I loved my hair cut when she was done! A few days later, I decided to have it cut closer and shaped up by a barber. Perfection! Would you ever have your sides shaved? 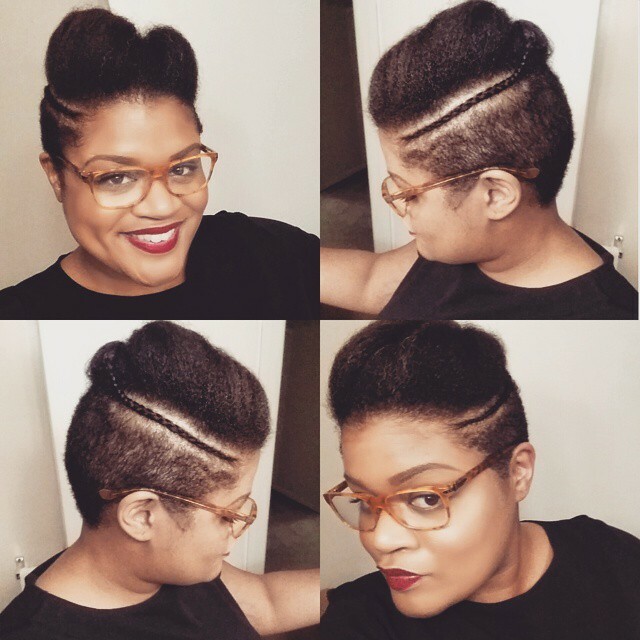 What's the boldest move you've made with your hair? I love it. I really don't think I would have the balls to do it though. It looks great on you! I did the same thing last week. Always loved the mohawk look and always did by pinning my sides up. But last week I said I'm going for it. I cried the first day because my hair was past my shoulder but day 2, I was like I'm looking SASSY! I LOVE IT NOW. Girl you look great... love it I haven't done any bold move as yet. .. what I would like to do is add some color to some sections of my hair..
Love your hair! You look so fabulous Ashley! God is so good! Enjoy your season girl! You look great! I've big chopped 3 times and the last big chop was the result of a sides shaved gone wrong by a barber! Now I wish I would've just rocked it out! Unfortunately my job is way too conservative now so I'm stuck with all of this hair but I'm itching to try some color! I'm sure my boss would pass out! I'm loving your hair girl! I'm too chicken to shave my sides. I shaved my sides last December grew it out & shaved it again in November!! 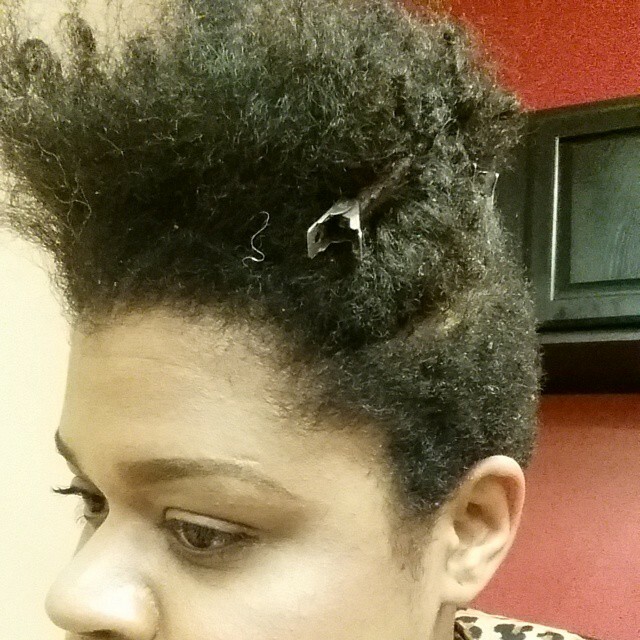 My boldest move was shaving the sides super close almost bald but not quite! Surprisingly I received so many compliments from women who loved my almost bald sides!! I probably won't shave it that close again until it warms up & then will probably get designs cut into my hair!! I would never! I think it takes a certain personality/face to pull it off. I gotta say you are rocking it. Thank you so much! :-) I'm with you. I had never thought about going so short when I first went natural, but now that I'm almost four years natural, more comfortable with my hair and myself, I love short hair. your haircut is very cute indeed! two thumbs up! Thanks Renisha! Oh, I love some color! You should try color this year. It does require more moisture, but it's such a fun way to give your hair some pop. I want to try designs next too! Lol! Thank you so much Janelle! I love short hair. You better rock it! I actually want to try a part in my hair next. New to your blog, hence the late comment. LOVING your hair! HAUTE!!! 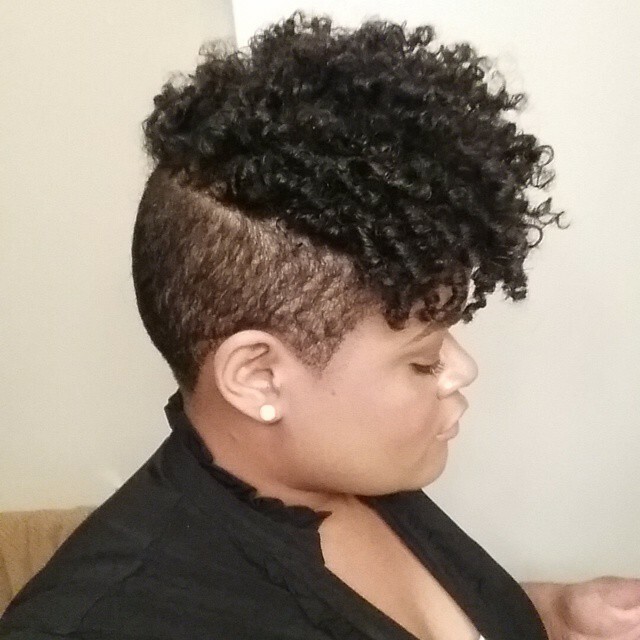 Bold moves I've made with my hair...1st major cut in 2014, from shoulder length hair to a mohawk, then a partial mohawk, & now rocking a cut like yours. All in less than 6 months. Loving this short cut life. Made me feel like a brand new person. Thank you so much! Yes... Short hair is so fun and sassy!